Today I’m very lucky to be interviewing Emily A. Steward author of Penelope Gilbert and the Children of Azure. Hi Emily, thank you for agreeing to this interview. Tell us a little about yourself and your background? Well, I was homeschooled growing up, and I loved it! I was very much a tom boy and I was able to spend a lot of time exploring outdoors and letting my imagination grow. I first started writing in kindergarten, and it’s been a passion of mine ever since. I now live in the beautiful Pacific Northwest with my husband and our three busy, and boisterous little girls. I plan on writing and publishing as many novels as I can. I already have another finished novel that I’m revising and several more started, including a middle grade story along the lines of a more contemporary Harriet the Spy. Any writer who can come up with wonderful, fantastic worlds I find inspiring. J.R.R Tolkien, C.S. Lewis, and J.K. Rowling come to mind. I’m also really inspired by the works of Roald Dahl. His books are just so imaginative and I love all the quirky, fun characters he’s created. 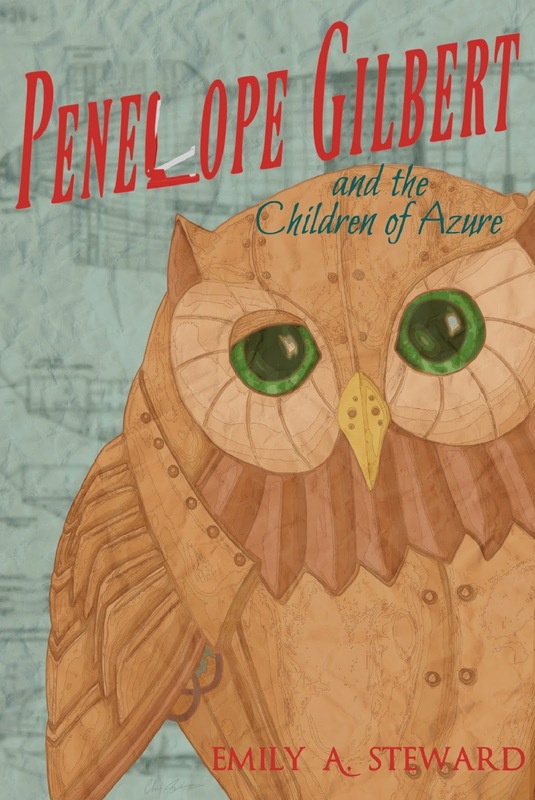 Besides my debut novel Penelope Gilbert and the Children of Azure, I’ve also written a Middle Grade mystery/horror book that is really close to the final draft, as well as a few short stories and a poem published in a small community college magazine. The poem is called, ‘The Old Brown Roof.’ It earned me the award of Editor’s Choice. Penny’s home life doesn’t leave her feeling very special. Her parents are mad scientists and are so caught up in their experiments, they hardly acknowledge her existence. Her vivid imagination helps her cope, as she dreams up exciting scenarios and adventures where she is the hero. One day after a crazy day at school, she transforms into a shiny, red stapler and discovers she’s more special than she ever imagined. At the moment I’m wrapping up edits on my middle grade mystery/horror novel, and I’ve begun work on the second book in my Penelope Gilbert series. I would love for a young Michelle Trachtenberg to play Penny, my main character. But since I misplaced my time machine, I would have to say maybe Rowan Blanchard, the star of Girl Meets World. Before I even knew what a writer was, I wanted to be a story teller. As early as the age of three, I was making up tales about bunnies, witches and (nice) evil stepsisters. At bedtime, I would make up my own bedtime stories and tell them to my mom and brother until they fell asleep, then I’d keep telling the story to myself until I eventually drifted off too. I am a full time stay at home mom. I try to cram in writing whenever I have the opportunity, but it’s very sporadic. My writing revolves around my kids nap and bedtimes, so it really depends on how well they comply with those. Also, I try to set aside a full day each week to get out of the house and really focus on writing. I try to get at least something written each day even if it’s just a sentence. As long as I’m progressing, I consider the day a success! I work with a very loose outline. I’ve tried to plot things out and work out all the details ahead of time, but sometimes my characters just do not want to cooperate. I really do best when I just create characters, throw situations at them, and see how the react. It’s fun because I never quite know what’s going to happen next myself. It keeps things interesting. 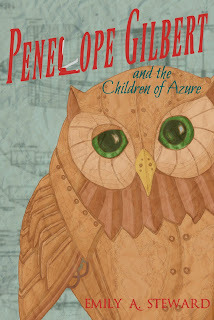 Penelope Gilbert and the Children of Azure is the first book in a planned trilogy. The series takes place in our world, and also in the world of Azure which is hidden in the clouds above. Penny discovers the land of Azure quite accidently as she searches for her kidnapped classmates. It is a treacherous place filled with mechanical beasts, floating islands, and air pirates. 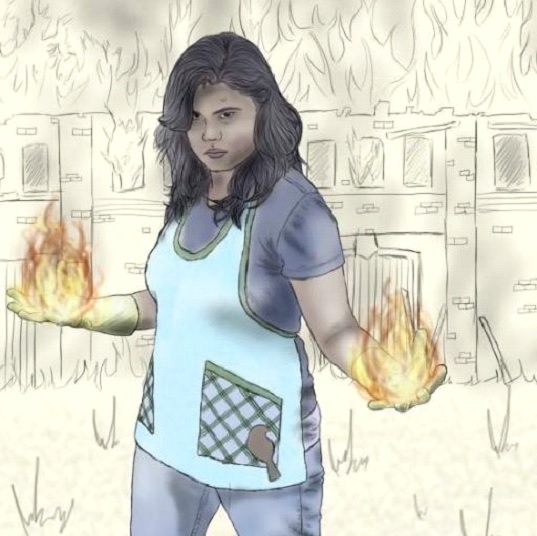 The series will follow Penny and her friends as they explore Azure and look for a way to destroy the evil that threatens their family and friends. I love to read whenever I get a little downtime. I really like J.K. Rowling, C.S. Lewis, Lemony Snicket, Lewis Carroll, and L.M. Montgomery. My all-time favorite author would have to be Roald Dahl. He is so imaginative and I love his characters and the quirky sense of humor in his books. I kind of jump around a little. I really need to sit and finish one before moving to the other. As it is, I think I’m reading about 5 or 6 right now. The ones I can recall are, Gregor the Overlander, Tunnels, Insurgent, the Scorch Trials, and Miss Peregrine's Home for Peculiar Children. I’d tell myself to chill out and not fret about the future, because everything is going to be great! I’d also say, “Hey self, you know that stubborn streak you have that sometimes gets you in trouble? It’s going to be your greatest asset as a writer when those rejection letters come pouring in. So don’t give up! Oh, and if you take a wrong turn while driving, just turn around. Don’t keep going the wrong way and hope to find something familiar. That never seems to work out.” I’d probably also encourage myself to write more while I have all that free time, because time is really in short supply now. I didn’t know the meaning of the word ‘busy’ until I had kids. Good question. I’d have loved to have written Harry Potter or The Hobbit. Both Rowling and Tolkien were so influential for their genre and I really admire them for that. Listen and learn from other people’s feedback on your work, but ultimately trust your gut. Don’t get discouraged when you run up against harsh criticism. Use that criticism to fuel your fire. Edit like crazy and show them you do have a story worth sharing that only you can tell. And those rejections you have piling up in your inbox… they really are subjective. Somewhere, someone is looking for your book, it just needs to fall into the right hands at the right time. The weather is feeling a bit temperamental, but it’s trying very hard to maintain a sunny disposition. 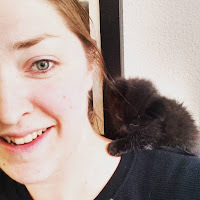 Thank you so much for having me, and for taking the time to host me on your blog! “Come on!” she yelled to Haldor who was wriggling out from under the spider corpse. already trying to wrap a strand of webbing around his neck. teeth had become fangs, and her eyes were the eyes of a killer.